The President of the Senate, Dr. Abubakar Bukola Saraki, on Friday confirmed earth tremor in some areas in the Federal Capital Territory calling on the National Emergency Management Agency, the FCT Emergency Management Agency and other emergency services personnel to be on “high alert”. It was gathered that the earth tremors in Abuja started on Wednesday in Mpape and Maitama District of the capital city of Nigeria. 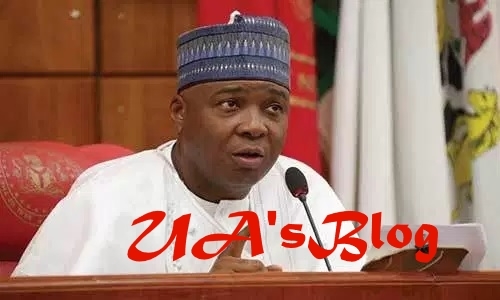 Saraki on his Twitter handle noted that Senator Dino Melaye, Chairman of the Senate Committee on the FCT, had already briefed the FCT Minister on the issue. According to him: “We have all been feeling the earth tremors in Abuja and surrounding areas over the last 48 hours. I know that many people are scared, but please, remain calm and vigilant.